Trail Effect: The last big hill climbed before FatDog! 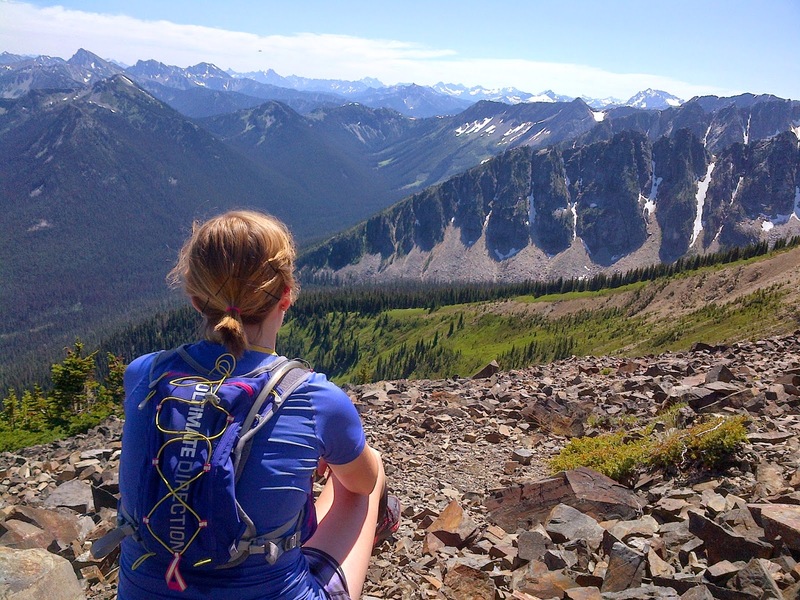 This past weekend we headed back out to Manning Park to see the final 13 miles of the FatDog race course. We started Saturday morning with the goal of heading from our campsite at lightning lakes up Skyline to Camp Mowich and back. We were accompanied by Chris' mom and dad, who will be taking on the 30 mile and 70 mile course with us in August! The rough uphill start leaves me in the dust while the Cochrane rabbits fly up it. My calves are burning, my heart is racing - and I can't help but feel like after all the training we've done I should be able to get up this hill without much trouble. 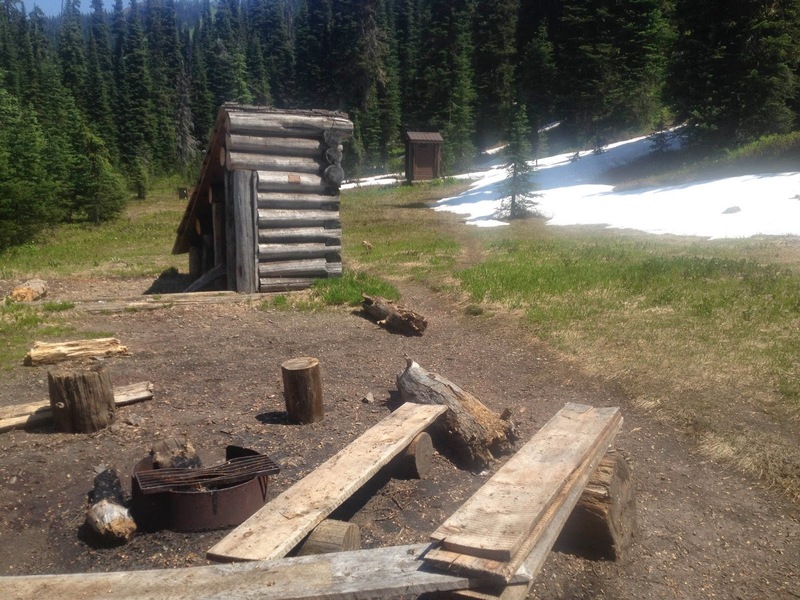 Camp Mowich - don't count on there being snow for the race! After a 6 mile uphill warm-up I was finally able to run at a decent pace. Little did I know this tough start followed by a rather miraculous recovery would earn me the title of running like a "wounded possum". Thanks Brad & Sue! I'm not sure whether this title was well deserved, or they were just dehydrated and delusional as the sun was beating down on us for 6+ hours! After racing over a few slightly terrifying false peaks (because the first uphill was clearly not enough), we pranced through glorious alpine meadows and straight down the valley into Camp Mowich. On the way back I came to see why last year's finishers crossed the line cursing those false peaks! If the climb from Skyline to Camp Mowich isn't enough - those false peaks are sure to knock your socks off. On the bright side, the uphill I cursed at the start is actually quite a nice non-technical downhill. Once we made it safely back to the campsite we decided to head back out around lightning lakes and part-way up frosty mountain to round out the mileage for the day. Chris ended up with 30 miles and 2400m climbing, while I stopped at a nice mountain marathon. On Sunday we headed up Frosty Mountain for an easy (ha!) 26k loop. We started out tired and slightly sunburnt from Saturday's adventure. Of course, when I say slightly sunburnt I mean I had to borrow a hat and compression socks from Brad to make sure the sun never saw my skin again. Thank you!!! I'm not sure how I survived this run, or why I agreed to go. This was not the first time we'd gone up Frosty, but I somehow managed to forget just how far 1300 m of climbing really is. "Please let this be a normal trail run.... With Chris?! NO WAY"
Somehow, knowing that I had to be able to go 70 miles in only 3 short weeks was pretty good motivation as well! Until next time - happy trails!